A French friend told me once that the French pastries are the best in France! With my eyes rolling, I said, "Sure!" ... LOL! I knew that his patriotism was telling him to say that. He must have seen my doubtful expression and so he defended himself by saying that the French bakes in Australia are not freshly baked. He reckon that the bakes are made in advance in a large quantity, frozen and thawed before selling them on the shelves. Being a typical sensuous French, he added that this way of baking is too industrialized meaning every bake is made with "standard" recipes and there is no heart or feeling given to each bake. I have to admit that my friend is right to a certain extent. Isn't it obvious that a successful business has to be operationally efficient? Otherwise, we will have to pay a lot of money just to enjoy a simple slice of cake? Sad that such small and humble baking businesses are diminishing these days as the cost of manpower, rental and living are too high for these businesses to survive. Having said that, there is still hope to enjoy the freshest French bakes... Besides, going to France, you can bake the French cakes and pastries at home. Voila! 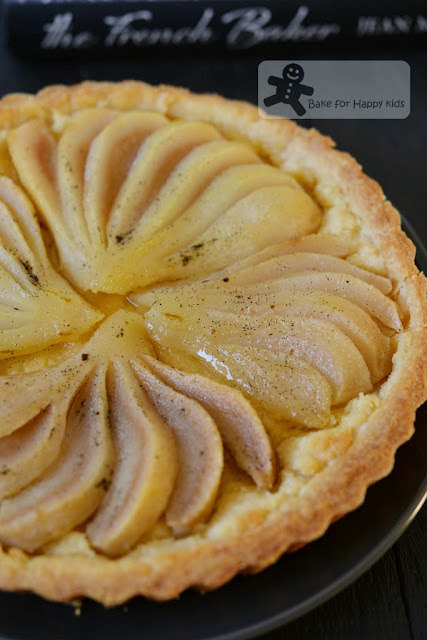 You have to believe that I baked this French pear tart and I was enjoying this tart on the same day when it was baked! This saves me the trouble of packing my luggage, buying an air ticket (or three! ), flying for 23 hours to France just to enjoy the freshest slice of French tart! I can't be happier that that! In English, it is pear and almond cream tart with pear liqueur. 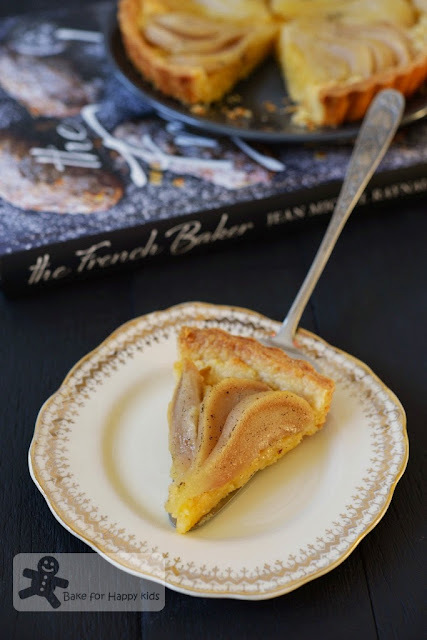 To bake this tart, you need this recipe from the book, The French Baker by Jean Michel Raynaud. "I have provided you with all the technical information you might need, not only to help makes the recipes, but to give you the confidence to experiment, create and motivate you to further your journey into the rewarding of baking." Told ya... The French are sensuous in everything they do and even in their baking... LOL! It is not about following a recipe but to create something that you will appreciate and enjoy. This kind of si fu (meaning kung fu master in Chinese) ... I like! LOL! Born in France, Jean Michel Raynaud began his career under the tutrlage of master pâtissier Robert Schicchi in Marseilles and was a head pastry chef by the age of 20. He migrated to Australia and joined Sweet Art and Planet Cake as head chef. Currently, he is the head pâtissier of Sydney La Renaissance Pâtisserie and Baroque Bistro in Sydney's The Rocks district. 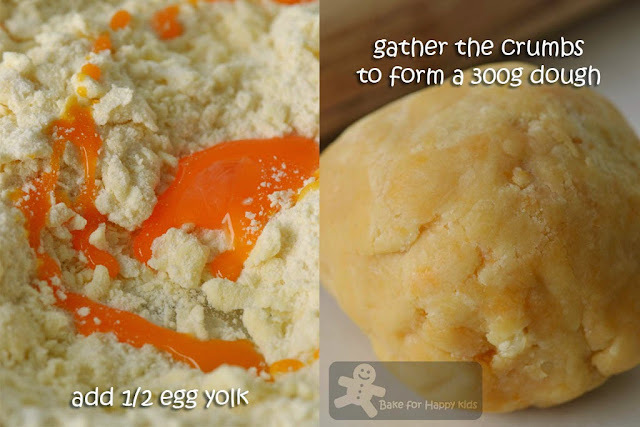 According to the book, the addition of the yolk is additional but the pastry with egg yolk is easier to handle. 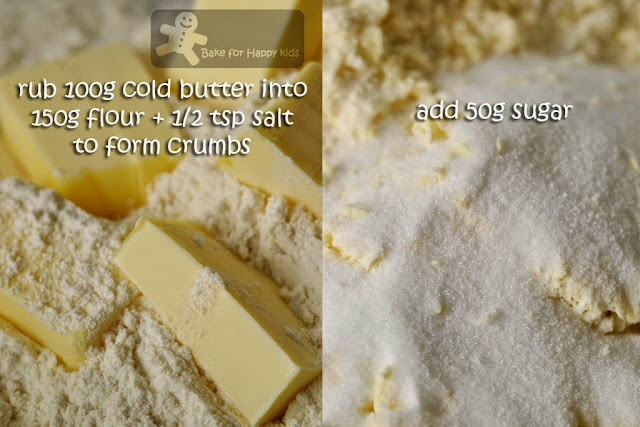 Do not knead dough as kneading will toughen the pastry. Refrigerate dough for at least 2 hrs. 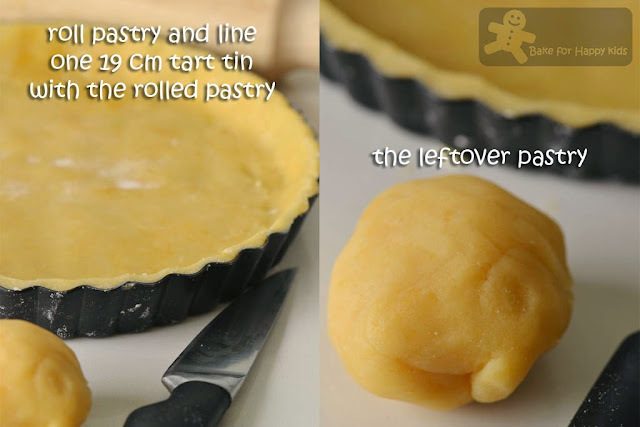 Instead of making 150g of pastry as suggested, I have made 300g and has this piece of pastry as leftover. Chill the tart pastry for at least 30 mins. I'm using two Beurré Bosc instead of William (Bartlett). I prefer this variety because it has a smoother texture. 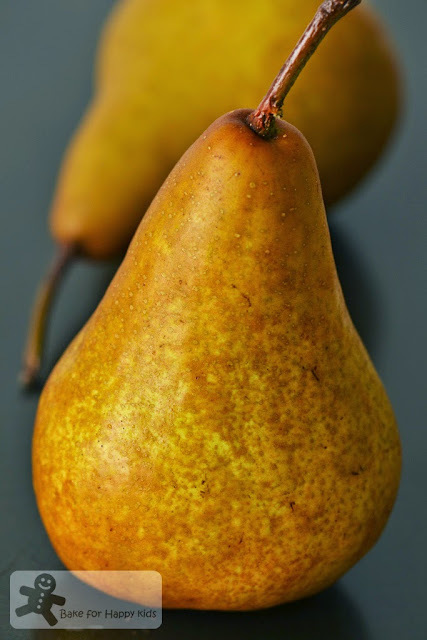 The book says that if I'm using buttery pears like Beurré Bosc or watery pears like nashi, I can bake them directly without poaching but I still prefer to poach my pears to reduce the amount of water in them and also to infuse the vanilla flavours and sweetness into them. 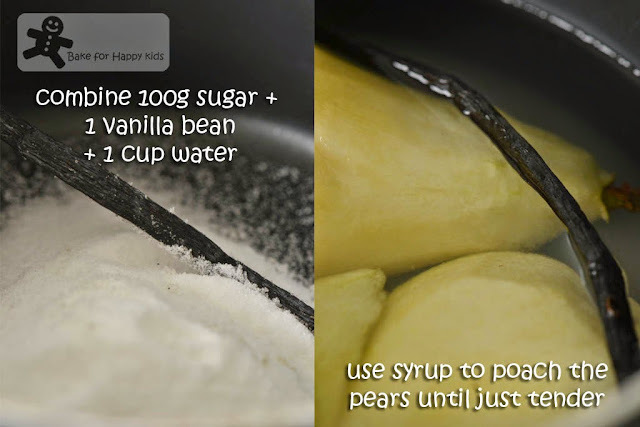 Simmer the pears gently for 15 mins or just tender being also firm enough to the bite. Do not over cook the pears! After poaching, drain and set aside the pears to cool. 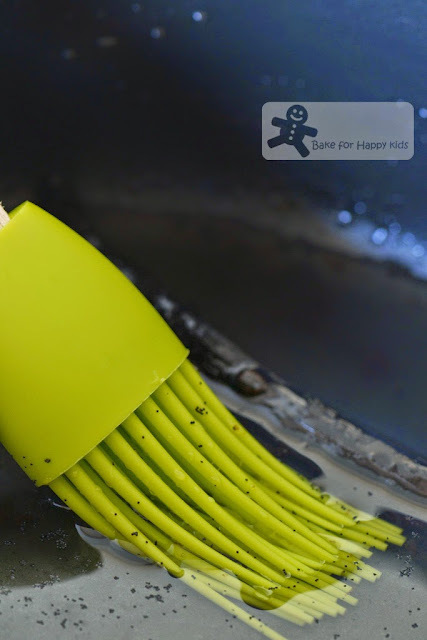 Do not discard the vanilla bean if I'm recycling it - The book didn't mention this but I took my initiative to do this. 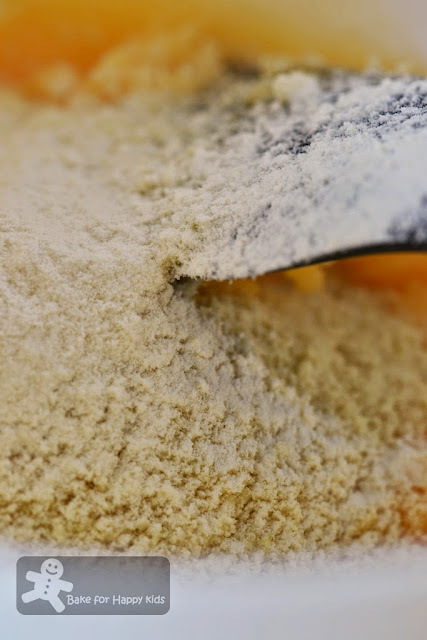 Using an electric mixer or a spatula, I did this until the mixture is creamy and smooth. 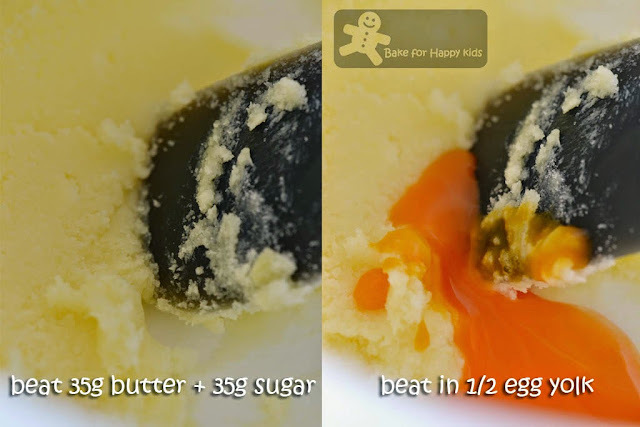 To achieve the smoothness, the butter used has to be soft but not melted. Beat in 35g almond meal and 6g all purpose flour until fluffy. 1. Tarts filled with almond cream don't need the pastry to be blind baked. Spoon almond cream into the pastry shell until 3/4 full. The volume of the almond cream will vary depending on how much it was beaten but mine didn't have any leftover. 2. Cut each pear half either into four wedges or partially only at its broad end keeping its narrow top end intact (like mine) and arrange on top of the almond cream. 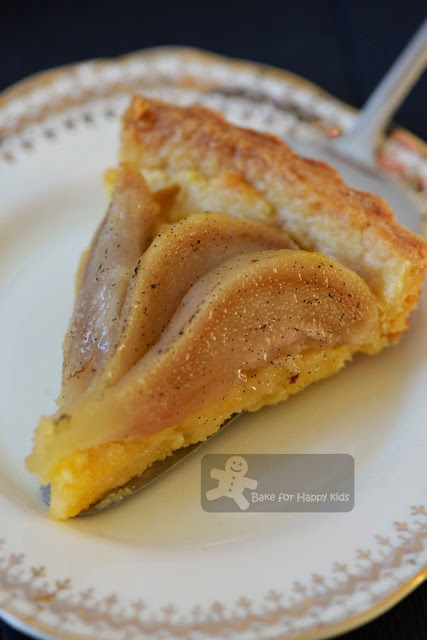 Place a wedge of pear with the steam attached in the center of the tart but I didn't do that. 3. Remember that I kept the vanilla bean that I used to poach the pear, I scraped the beans from half of the pod and spread them onto the pears. All done and ready to bake. 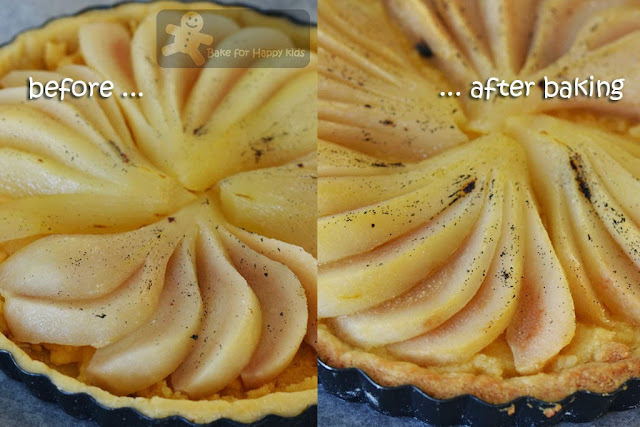 Bake the tart at 175°C for 40 mins. While the tart is baking, I placed 1/4 cup (60ml) water, 45g caster sugar and 20ml rum in a small saucepan and bring it to boil. Then, I removed it from the heat and scraped the beans from the remaining half of the pod into the syrup. 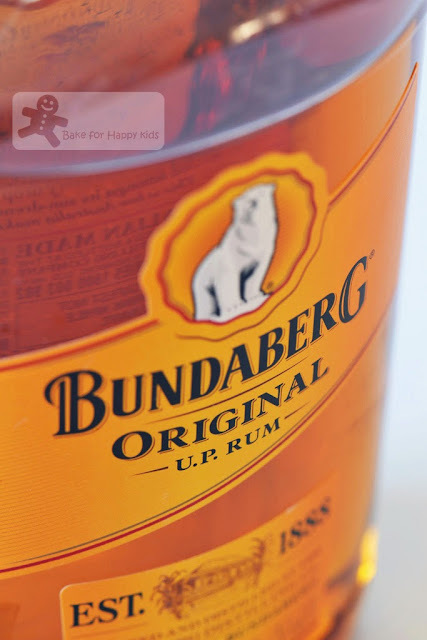 I didn't want to buy William pear eau-de-vie or any pear based liqueur specially for this bake and used rum instead. 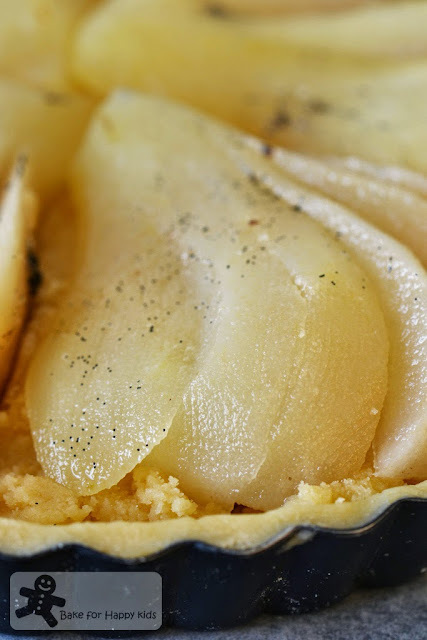 As soon as the tart comes out of the oven, brush a small amount of syrup over the pears but not too much or the tart will go soggy! ... every slice is beautiful and lovely. I'm very proud of myself that I can bake this beautiful French pear tart in my Melbourne home. All thanks to The French Baker by Jean Michel Raynaud. If you like French Baking and like to learn heaps from the French Baker by Jean Michel Raynaud, you can to buy this newly published book at a retail price of AUD$49.99. Zoe your French tart looks delicious! And beautiful too! This has to be good.. I like tarts with almond filling ever since I baked long with u ladies on the almond tart... We tried the Italian one... Now I need to hv a go on this French one! I kind of agree with your friend. As good as French pastries are elsewhere, there's nothing like French pastries in France. 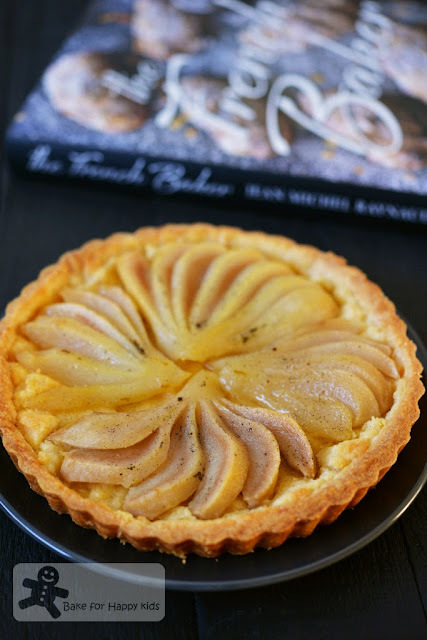 OMG , so beautiofully made tart.. i love tarts.. but your recipe looks mind blowng..
Will definitely be getting this book later, keeping tab on the price drop! Zoe, you have baked a very beautiful and elegant tart! Yup, you definitely don't need a trip to France for that hee..hee.. Very pretty tart! Love it!